With a good crop and a lot of acres, this year will likely resemble 2012. We officially got started with peanut hull scrapes today. There was nothing ready sooner than 14 days. I only looked at 1 irrigated sample, and you would think they were all irrigated. 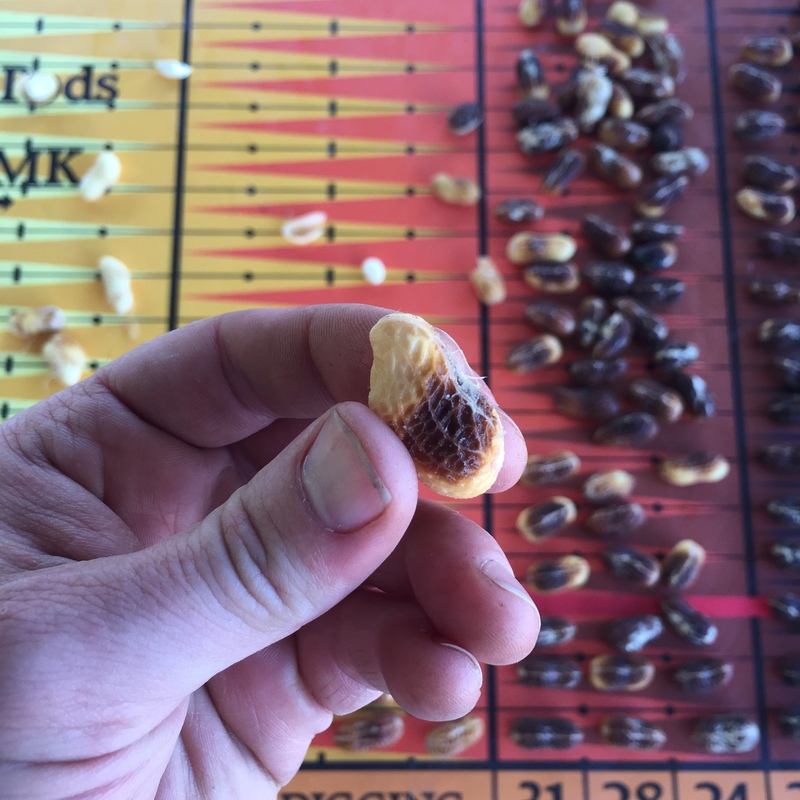 We looked at samples of peanuts that we scraped weeks ago, and some were sprouting then. We haven’t had rain on these much since then, and those peanuts I believe have pretty much shut down.. If we have a 1/5 inch rain, that won’t be a big deal, but much more than that will be an issue. The issue in the west part of the county is that we need a little rain before we start digging. The east side of the county is getting rain through August. Something we need to think about is the trend in 06G’s the past five years. They are listed as a medium maturing at 130 to 140 days. But we are seeing the 06G grade being higher as we push 150 days. Everything I’ve seen, along with many other agents, is o6G’s going 140, 145, and 150 at this time. 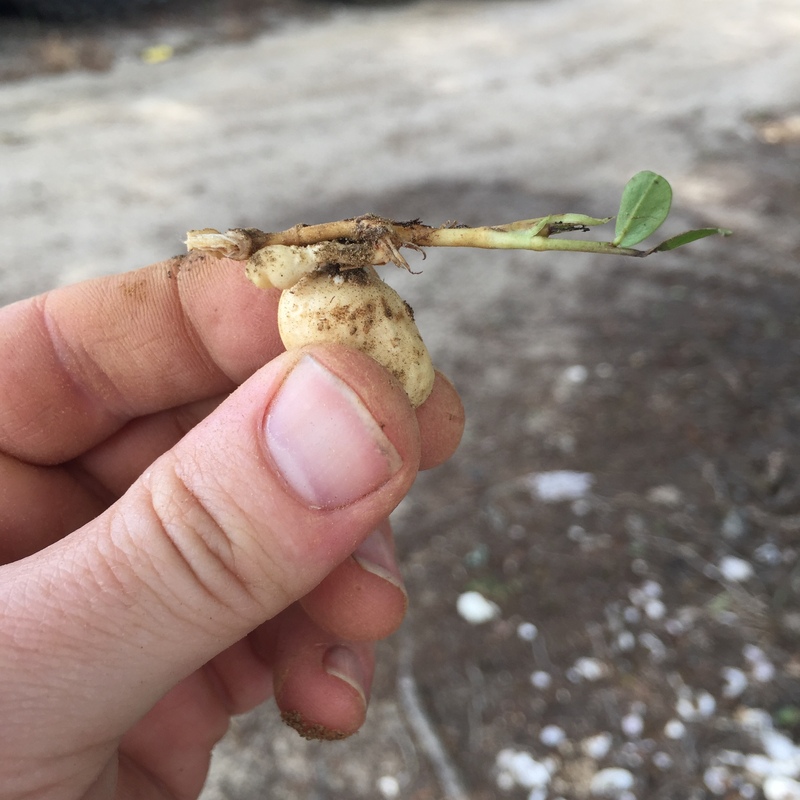 Remember, there are factors that will set the peanuts behind a week or so that have occurred throughout our crop this year: 1) Valor injury, 2) germination issues / slow emergence 3) bad stands 4) gramoxone at-cracking sprays. Any of these events will knock peanuts back a week and a half. So that normal 134 day quickly turns into 145 assuming normal progressgion. With so much rain this season, this explains why we DON’T go by days after planting. We’re seeing more normal progression of the crop with no split crops in our dryland fields. 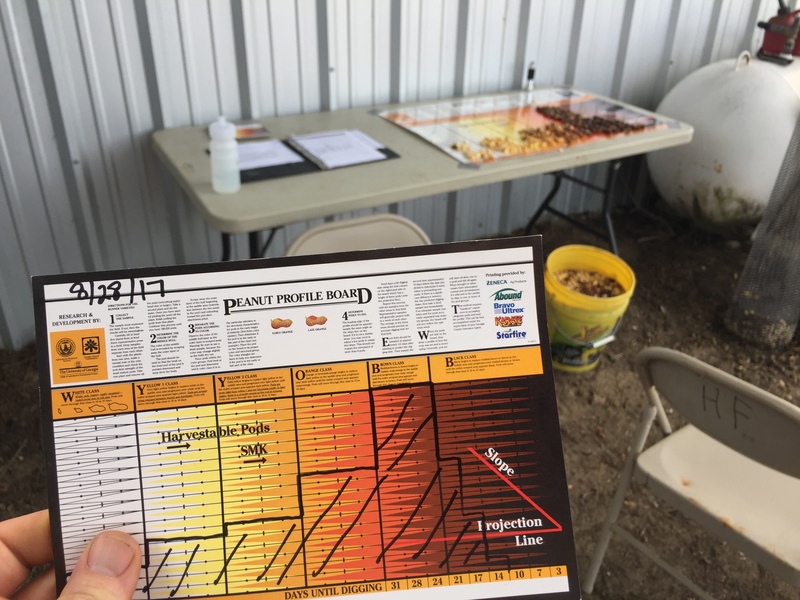 Our profiles are looking good, with much fewer if any split crops. Again, this is another reason to lets make sure we get these mature and get some good grades. In some dryland fields, we are definitely seeing where half the peanut will be yellow and the other half black. This is sometimes a characteristic of dryland peanuts, indicating off-and-on rain. We still judge the peanut by the darkest color on the profile board. There are some peanuts turning loose in the hull, but not terrible. Still, this is a cause for us to pull the trigger soon in these fields. 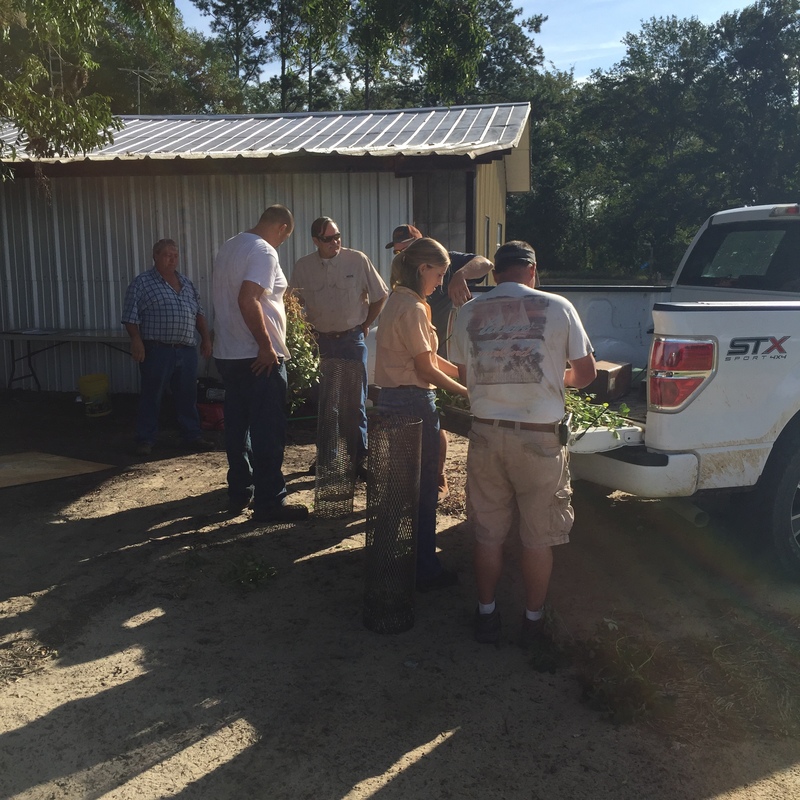 It’s a difficult call because each week too early can be 200 – 300 lb yield loss. Still our biggest issue is the number of acres we have and finding and starting point.